Master Liao recorded live at special invitation classes for Tao and Chi members at the Taichi Tao Center. 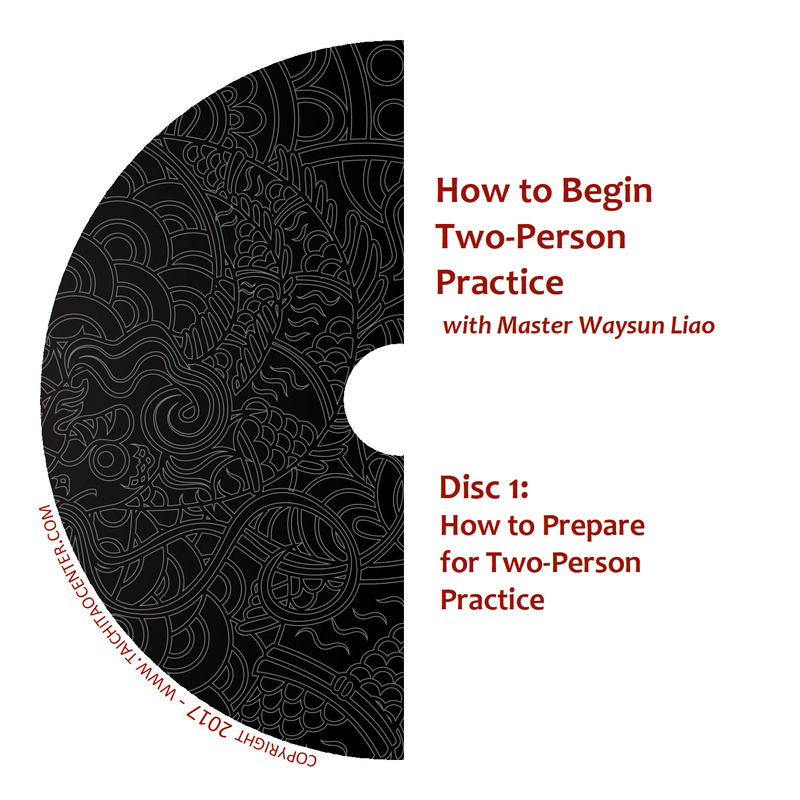 These DVDs contain some of our more exclusive and advanced teachings, and are designed for those who have substantial Taichi experience, primarily under Master Waysun Liao’s teaching and materials. This DVD is a must have for all advanced students, as Master patiently guides you step-by-step through a powerful session using the Charge-Up and Drain forms. As you know well by now, Charge-Up form can bring in powerful energy to increase the energy in your human body. Drain form can use the power of the earth to pull off unwanted and heavy negative energy. But these forms only work if they are performed very precisely, avoiding common mistakes. This is the most comprehensive recording of every exact refinement to these important meditation forms that you will find in our collection. What’s more, it is a slow and meditative DVD so that you can actually engage in a powerful Charge-Up and Drain session while you learn. There are three stages of your Taichi journey: 1.) 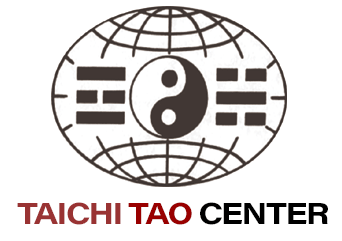 Taichi: rejoining your mind, body, breathing, feeling and life energy in an effort to achieve flow. 2.) Chi: whereby you not only flow but work to make your life energy clean and strong. 3.) Shen: in which you try to return to Tao. All three stages are concerned with refining and raising the quality of your Chi Sphere. 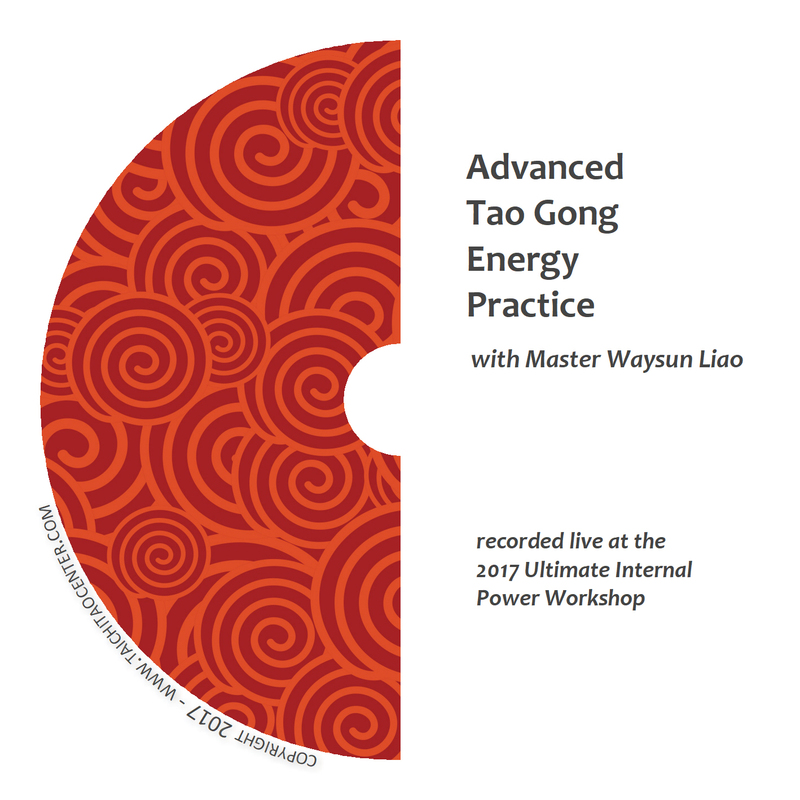 On this DVD, Master Liao shows you how to secure the feeling of an energy sphere around your body, rather than just playing with hollow imagination. You’ll learn techniques on how to shift from external to internal motion, and how to free yourself by eliminating mental occupation and blockage. You’ll play with the size of your form in order to cultivate your internal feeling and perspective — bringing unlimited power to your form. Finally, you’ll hear insights into the real meaning behind Lao Tzu’s teachings and what Buddha strove to describe in the “Diamond Sutra.” These teachings from Master Liao help you keep your Taichi practice heading toward the true goal of self-transformation. Tao is the science and discipline of heaven energy, human energy and earth energy. This discipline has been misinterpreted for thousands of years. Finally, you can take advantage of Master Liao’s teaching that can lead you through this discipline correctly. These triple elements are part of Tao philosophy. Inside our body there are also three elements: our body, life energy and spirit. With correct practice, you will use your true feeling to help these three elements work in harmony. On this DVD, you’ll work with three major forms: Taichi Ball to develop your human energy or Chi, Charge-Up form to connect with heaven or sky energy and Drain or Discharge Form to use earth energy. You’ll also learn the correct way to position yourself for the maximum benefit of each form. You’ll learn how to coordinate your inhale and exhale with each motion, and how each of these forms works together. 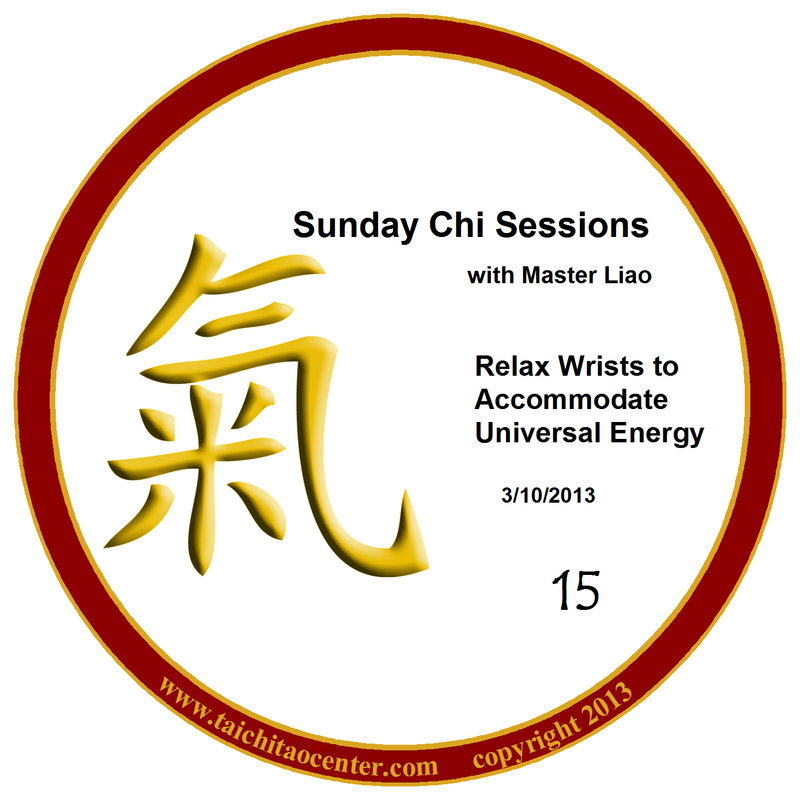 You’ll learn why Taichi Ball is the primary mechanism for charging and cleaning your energy. In this high-level teaching, Master Liao diagrams the real method of condensing breathing and what it really means. Without this understanding, and without incorporating true condensing in your practice, you simply cannot advance in Chi applications such as martial arts or healing. On this DVD you’ll learn which two directions are the most important, and why without them, the other six directions are meaningless. You’ll learn the difference between expanding in one direction versus expanding in eight directions versus moving the center in a direction — and when and why each is required. You’ll learn what “center” is and how to create “center” through correct use of the eight directions. Master Liao discusses the power of our original energy when we were an embryo, and how we must go backward to return to that source of great power. But he not only explains why, he explains how. 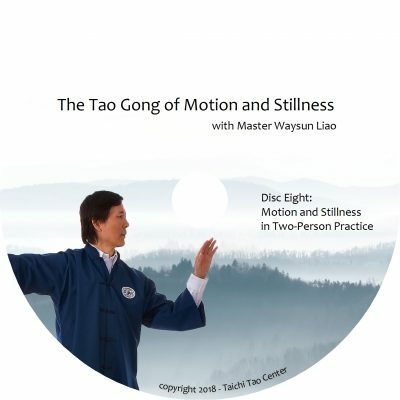 On this DVD, Master goes back to the teachings of Lao Tzu time and time again, to show how the Tao Te Ching is really teaching Taichi all the way through, but we have missed the correct interpretation. Finally, Master Liao reveals the secret of “broadcasting” energy, and what is required to make it happen. To apply this secret, you need the practice techniques contained on this DVD. There are many different bows that were commonly used in the old Taichi temples. 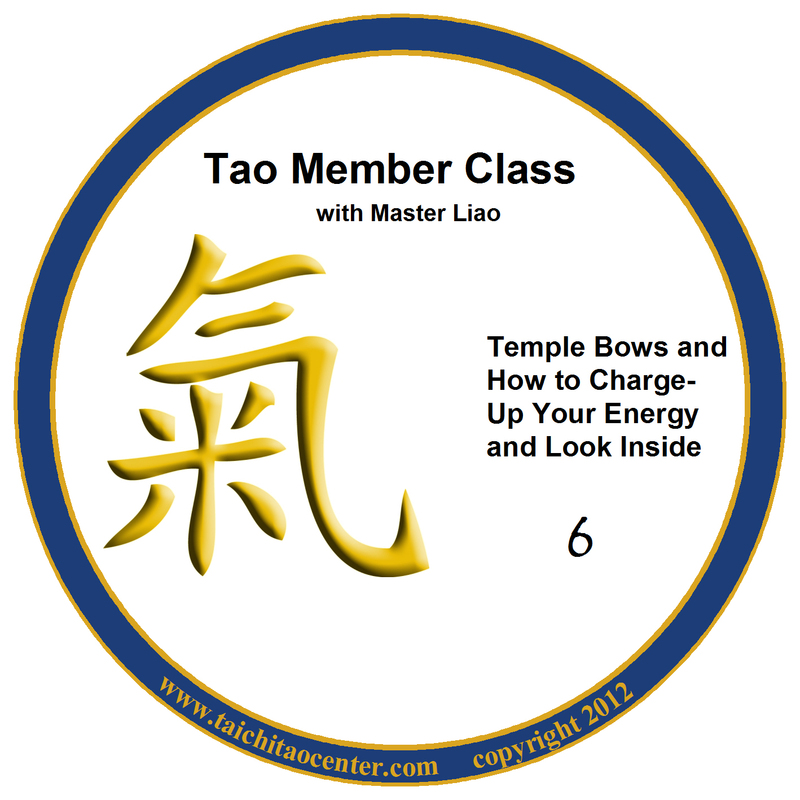 On this DVD, you’ll learn the Chi Bow and Tao Bow. These special formal bows are traditionally made before heavy meditation, special healing or spiritual work, formal occasions, and to demonstrate deep sincerity. This DVD includes a comprehensive talk on charging up and a diagram on “looking inside.” You’ll learn how to pull all your sensory windows into your Upper Dan Tian, and how to bring that concentrated energy down to reach your Lower Dan Tian. The successful practice of this meditation can culminate in reconnecting with your original energy. You’ll learn how the goal of strengthening and purifying your energy is to allow your Te to expand a full three feet around your body. Those who reach this goal can connect with outside energy, and would be called “real humans” by old Tao masters. Master fills this DVD with references to the Tao Te Ching and analogies to nature, so you can see how these teachings are grounded in pure and ancient Tao wisdom.